We've been hearing for years now unmanned aerial vehicles (a.k.a. drones) are the war machines of tomorrow, the weapons of a new age, the way of the future. There's only one problem: no one wants to fly the dang things. Air Force Col. Bradley Hoagland just published a paper outlining the challenge of finding enough pilots for the increasing number of drone missions around the world. Long story short, it's really tough. Last year, the Air Force sought 150 pilots to fly its fleet of Predator, Reaper and Global Hawk drones but "was not able to meet its RPA (remotely piloted aircraft) training requirements since there were not enough volunteers," the study says. Meanwhile, the number of drone missions is growing "at a faster pace than the AF (Air Force) can train personnel to operate these systems." The rate of attrition for drone pilots is also three times higher than that of regular pilots. That's a lot of strikes against the Air Force's drone program. What's with all the resistance? Well, put simply, being a drone pilot is a dead end job. 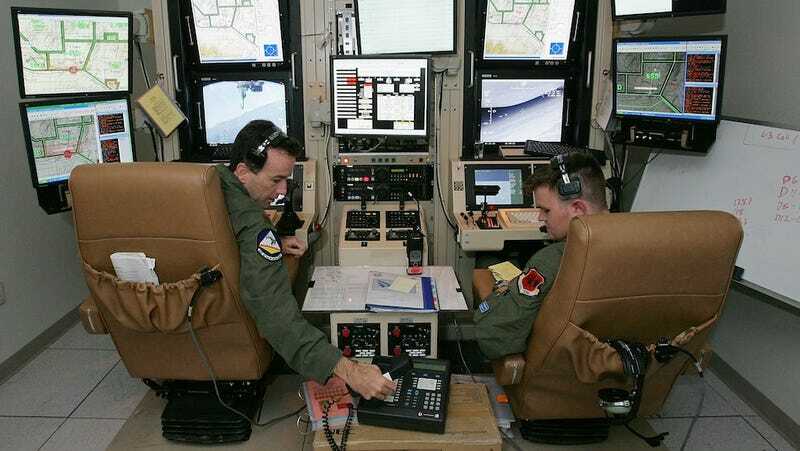 Hoagland found that drone pilots are 13 percent less likely to make the rank of major than their peers are. It's sort of Catch 22, really. Because of the shortage of pilots, those flying the drone fleet have more missions and, thus, less time to pursue the training and education needed to rise up the ranks. It doesn't help that the Pentagon axed the one honor created specifically for drone pilots just two months after introducing it. Do Drone Pilots Deserve Medals?